Welcome to another edition of our newsletter. In this week’s mail we have a special Video of the Week with none other than Rory McIlroy, we take a closer look at who will be trying to play their way into Bjorn's Ryder Cup team, and we offer a little advice on how to improve your game. For this week's video of the week I'll be demonstrating a drill which will help improve your short shots around the putting green. Many golfers duff their chip shots and struggle to get distance control. On Tuesday 2nd October we will be hosting a Callaway fitting day between 1pm - 2pm. This will be your chance to try and be fitted for their latest range including the Rogue range. The Ryder Cup is edging ever closer, with a lot of speculation over who will be chosen as one of the four wildcards on both sides of the Atlantic. There is an expectation that USA Team Captain Jim Furyk will give one of those spots to a resurgent Tiger Woods, who can now be picked on form rather than reputation after experiencing a stellar comeback season. Others vying for a trip to Le Golf National in Paris are Zach Johnson, Bryson DeChambeau, Matt Kuchar, Kevin Kisner and Tony Finau, providing Furyk with an embarrassment of riches to choose from. Thomas Bjorn won’t know exactly who has qualified for his European team until September 2, but the big names – Francesco Molinari, Justin Rose, Rory McIlroy, Tommy Fleetwood and Jon Rahm – are dead certs. The bigger question lies in the wildcard picks. Ian Poulter has a fearsome Ryder Cup record, having never lost a singles match, and has played himself into good form this season. Paul Casey, Thomas Pieters, Russell Knox and Rafa Cabrera-Bello are all in contention too, not to mention Ryder Cup veterans Henrik Stenson and Sergio Garcia. How many times do you find yourself lining up your shot and thinking "this is about an 8-iron from here to the pin", only to find that you end up 10-15 yards short of the hole? Being able to utilise accurate yardages is a key step to taking your game to the next level, which is why we'd recommend using a GPS device to ensure you always know exactly how far you have left to the pin. If you are yet to make the step into GPS assistance, why not try out the Garmin Approach X40? Lightweight, stylish and available in four different colours, the band’s high-sensitivity GPS receiver gives you the distance data you need to fire away with confidence when faced with any potential hazards. How many times do you find yourself lining up your shot and thinking "this is about an 8-iron from here to the pin", only to find that you end up 10-15 yards short of the hole? Being able to utilise accurate yardages is a key step to taking your game to the next level, which is why we'd recommend using a GPS laser rangefinder to ensure you always know exactly how far you have left to the pin. With Garmin's Z80 laser rangefinder you will get precise distances to the flag from up to 350 yards away, allowing you to hone in on the pin to make more birdies. Hole maps are integrated into the viewfinder, which display the shape of the hole and provide front and back distances when you lock onto the flag. If you are yet to make the step into GPS assistance, why not try out the Garmin Approach S20? The watch's high-sensitivity GPS receiver gives you the distance data you need to fire away with confidence and hone in on the pin. You'll have distance to the front, back and middle of the green, as well as hazards, doglegs and layups. The season is coming to a close and that means it's more important than ever to work hard on the parts of your game that are letting you down. 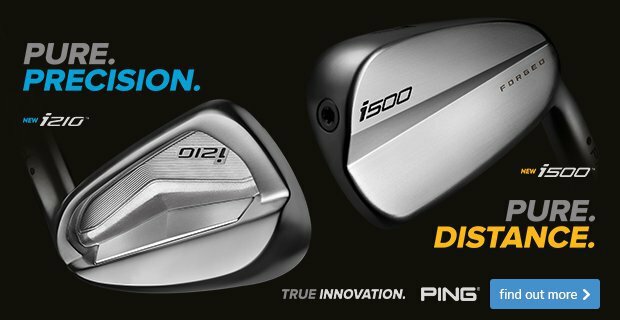 Maybe you aren't getting enough distance on your drives or perhaps your chipping simply isn't up to scratch - either way, we're here to help. 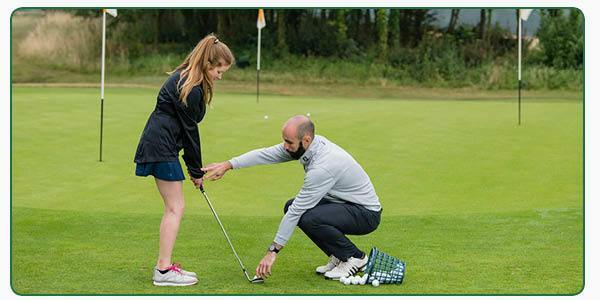 If you find yourself walking off the course frustrated time and time again, why not book yourself in for a lesson with a member of the team? Alternatively, come and speak to us about a long-term plan - we offer various lesson packages which we can tailor to suit your needs. Have you been custom fitted? Custom fitting is particularly helpful and it's not just for the best golfers either - the more you struggle with distance and accuracy, the more there is to gain from playing with clubs that are tailored to your swing. We stock several brands in-store, each with a ladies option in their range, so we're certain that we can improve your game if given the chance. The season is coming to a close and that means it's more important than ever to work hard on the parts of your game that are letting you down. Maybe you aren't holing enough clutch putts from five feet, or perhaps you're not getting up and down in two from the sand regularly. Either way, we're here to help. If you find yourself making poor decisions time and time again, why not book yourself in for a playing lesson with a member of our team? Alternatively, come and speak to us about a long-term plan - we offer various lesson packages which we can tailor to your needs. If you haven't had a custom fitting and you're trying to score consistently in the low 70s, then we recommend being fitted as soon as possible. Playing with clubs that are tailored to your swing will see you make the transition from mid to low handicapper in no time. Come and set us a challenge to improve your game - we're certain we can. 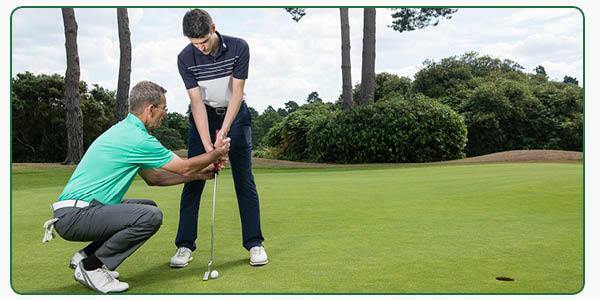 If you find yourself making poor decisions time and time again, why not book yourself in for a playing lesson so that we can help you to think your way to a better score? Alternatively, come and speak to us about a long-term plan - we offer various lesson packages which we can tailor to suit your needs. Custom fitting is particularly helpful and it's not just for low handicappers either - the more you struggle with distance and accuracy, the more there is to gain from playing with clubs that are tailored to your swing. We stock several brands in-store, each with a model in their line-up to suit mid to high handicappers, so come and challenge us to improve your game - we're certain we can. With summer coming to an end and wetter climes fast approaching, the clothing you wear on the golf course becomes even more important. 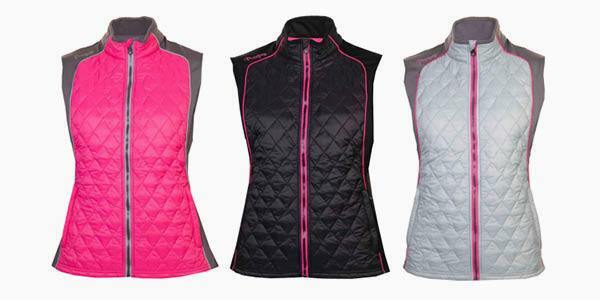 You should consider trying on ProQuip's practical yet stylish women's Ava gilet, which is available in three different colourways. Quilted panels with Thinsulate lining provide exceptional warmth, whilst the knitted power stretch fabric means your swing won't be affected by the additional layer. 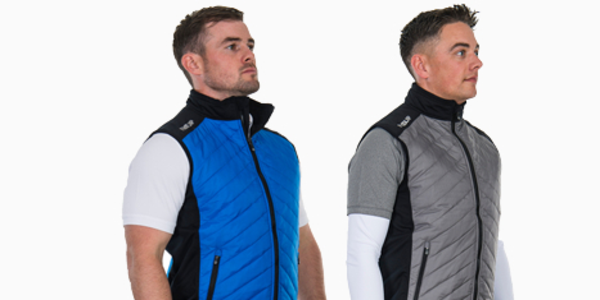 ProQuip believe it has the perfect solution to combining freedom of movement and staying dry in its Pro-Flex EVO windproof gilet. Quilted panels with Thinsulate lining provide exceptional warmth, whilst the knitted power stretch fabric means your swing won't be affected by the additional layer. In this exclusive interview with Foremost TV, golfing superstar Rory McIlroy talks through the secrets of his game, some of which might surprise you.